SAVANNAH, GA (WTOC) - It's been one year since the city of Savannah implemented a new downtown parking structure. Longer enforcement times and higher rates were two of the biggest changes. The city says the latest downtown parking structure is opening up more spaces, making it more convenient for people to park. But, one downtown owner says there are too many empty spaces and it’s affecting her business. Liquid Sands Glass Gallery owner Kym Miller says over the last year, she has seen less people coming into her store. She says she believes the city’s newest parking structure has something to do with it. Miller and her husband have owned Liquid Sands for ten years now. 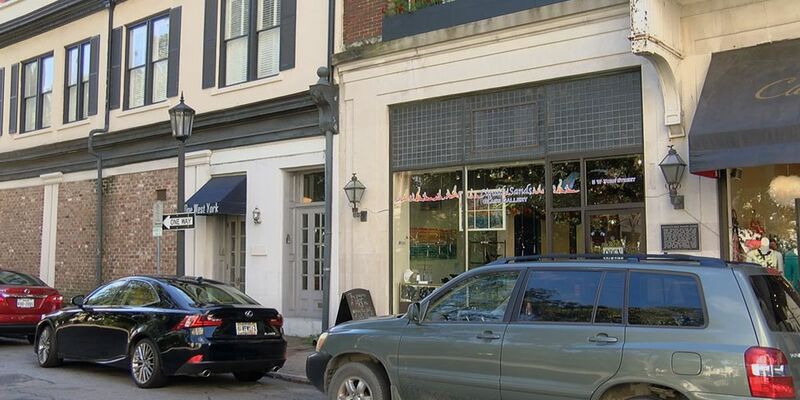 They’ve had their gallery near Bull and York streets for eight years and say parking has always been an issue. Last January, the city hoped to alleviate some of the parking concerns by implementing a new parking structure. Now, those that park downtown may have to pay up to $2 per hour, depending on where they park. They must also pay up until 8 p.m., including on Saturdays. Over the last year, Miller says she's seeing less people inside her store and it's not helping business. “We’ve had many locals regularly coming in and telling us they’re purposely coming downtown less, because parking is higher. The evening has affected us. We were at least open until 6 p.m., so when the enforcement ended at 5 p.m. you had at least one free hour to shop with us. Saturdays have had a huge impact. It’s definitely slowed business and it’s not been helpful,” said Miller, business owner. The city says the purpose of the new structure was to simplify the parking guidelines and give people options on how much they wanted to pay to park. Also, charging drivers to park creates more turnovers, helping to free up parking spots more frequently. Savannah’s Director of Parking and Mobility Services says the data does show more spots are opening up in different zones. Some areas show too many open spaces, so the city is considering lowering the rate back to $1 per hour in certain areas of downtown.